If you haven’t been living under a a rock for the last week, you’ll already have seen the news break that Capcom are officially putting a Resident Evil 2 Remake into development. What you may not know, however, is that a small indie studio, going by the name of InvaderGames, have been tirelessly trying to release a fan made remake of the classic horror title for several years. That work has come to an end now, though. Capcom have contacted the developer and requested they cease development on the project for obvious reasons. 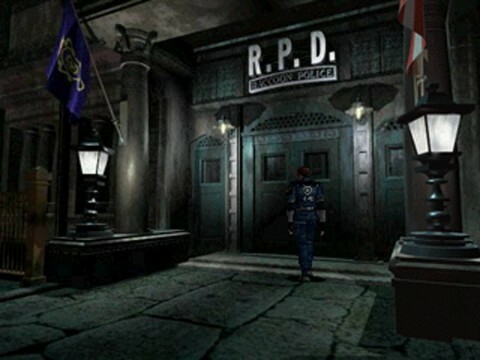 However, Capcom have shown their respect to the studio by inviting them to a meeting at their headquarters to discuss both their game, and the official remake. InvaderGames had the following to say on their Facebook page. First of all we want to thank all of you for the passion and the attachment that you have daily shown us. We’ll be always grateful. Today we want to join us of a very special day for InvaderGames. After the official announcement of the Resident Evil 2 remake by Capcom, we officialise the end of the works on Resident Evil 2 Reborn. Contrary to what might be thought, this is wonderful news for us and, as fans, we’re so happy that Capcom has decided to take the lead of the project and to develop the remake awaited for years by everybody (nobody could bring back to life the masterpiece of 1998 better than the creators themselves). Meanwhile as developers, we’re honoured to announce that we’ve been officially invited to meet Capcom. Thank you again for letting us to be where we are now in spite of the long way that remains to be walked through, we hope to focus soon on the biggest professional chance that we could get. Once more, we’re very grateful to Capcom for having noticed our work and having appreciated as much the love we feel about the Resident Evil saga as developing videogames. It’s very rare to find such a leader company in the industry so much open minded and sensitive to the work of a growing studio like ours, guided by passion and competence. It’s nice to see that Capcom haven’t taken the usual route of other developers and simply asked a studio to instantly cease development on a project that they don’t own the intellectual property of. The extent of involvement that InvaderGames will have in the official Resident Evil 2 Remake remains to be seen, but it shows good sport on Capcom’s side nonetheless.